The Galapagos Islands Take "Schneckenpost" to a whole new level. 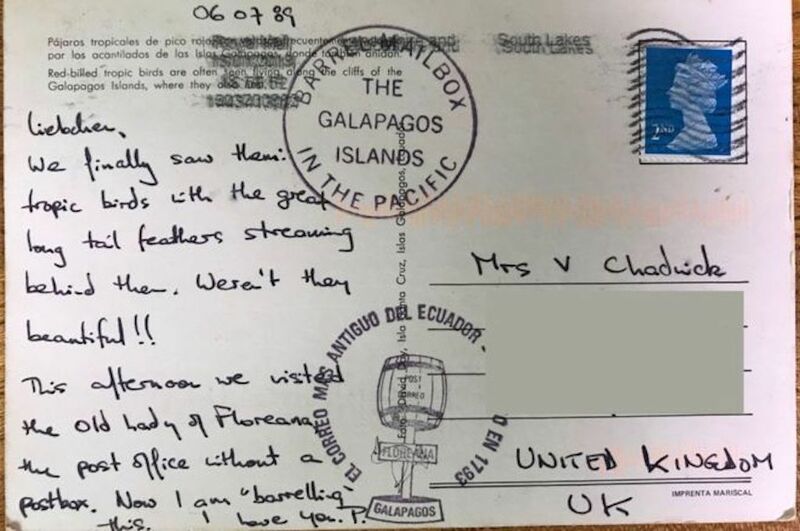 In 1989, Peter and Varna Chadwick were on vacation in the Ecuadorian Islands when they sent postcards to their homes in Manchester. England, As a souvenir. The postcards did not arrive. Last month, however, Kevin Thewlis, the new owner of the house, received them. He visited the Chadwicks, now living in Stockton-on-Tees, to reunite them with their long-lost postcards. The cards were sent through the "Barrel System" of the Galapagos Islands, with the post deposited in beach barrels and picked up and taken to the next destination by islanders who happened to be on their way. 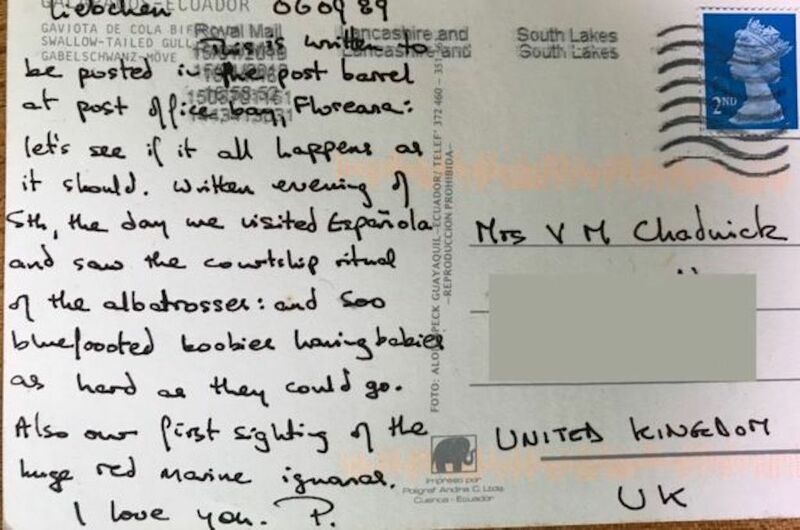 Peter Chadwick believes it took him 30 years to finally get the postcards, that they probably reached the coast of England years ago and were probably delayed by mishandling. "Someone must have put it in a file to post it," he said BBC"And then 30 years later." So much for "Royal Mail". The islands are known for their slow giant tortoises BBC points out that "even those tortoises traveling at a typical speed of 0.16 miles per hour could have delivered the postcards faster."